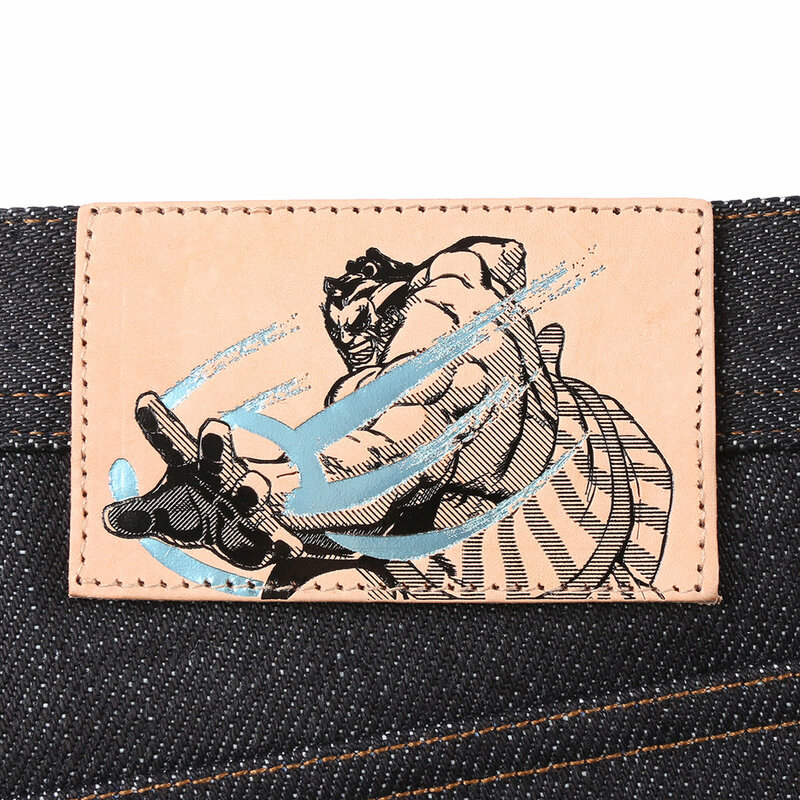 The Street Fighter™ 2 x Naked & Famous Denim: E. Honda Sumo Selvedge jeans are made using a custom developed heavyweight 21oz Japanese Selvedge denim symbolizing the characters mass and strength. This denim is nearly twice the weight of a typical pair of jeans. 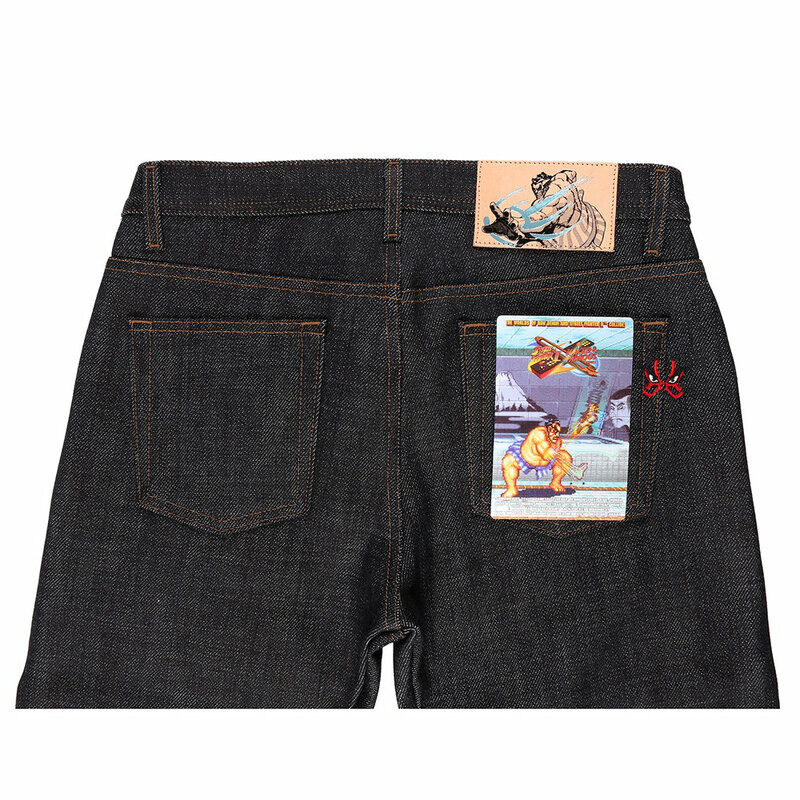 On the back pocket you’ll find E.Honda’s iconic kabuki face paint embroidered. Inside you’ll find blue and white striped pocket bags representing of the yukata worn around E. Honda’s waist, along with a printed portrait. The natural vegetable tan leather patches features a highly detailed embossed illustration with metallic foil action. Also included is a lenticular pocket flasher featuring in game footage of E. Honda’s iconic Hundred Hand Slap.